From AP - Michael Crichton, the million-selling author who made scientific research terrifying and irresistible in such thrillers as "Jurassic Park," "Timeline" and "The Andromeda Strain," has died of cancer, his family said. Crichton died Tuesday in Los Angeles at age 66 after privately battling cancer. 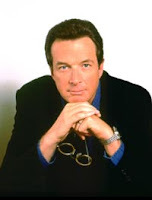 A significant portion of Michael Crichton’s writing output was genre fiction many of which were made into popular films. Andromeda Strain and the Jurassic Park movies are of particular note to science fiction aficionados. don't know if I've ever read any of his books, but I am sorry to lose another great author. His books were often even more visual then his movies. It was very easy to imagine the book up on the big screen as you read.